At ADVANZ PHARMA we are committed to helping patients lead healthier, better lives by revitalising and innovating niche established medicines that without our focus, may otherwise not be available. Over the many years we have been supplying medicines, we have built a commercial platform across over 90 countries. We are the first pharma company in the world to achieve an ISO 37001 accreditation for our comprehensive compliance management system. Our operational headquarters in London (UK), is supported by a centre of excellence in Mumbai (India), and regional hubs in Europe, Australia and the U.S.
We are committed to serving the needs of patients and healthcare providers across the world by operating at the highest ethical standards in all aspects of our work. We aspire to be open, transparent and collaborative in all our relationships and believe in the power of partnership to build trust and inspire better solutions. We are committed to providing medicines safely and effectively, all to the highest quality standards. We insist on the highest ethical behaviour in all aspects of our work. We operate in a highly complex and competitive environment, however also aim to do what’s right for the healthcare systems and patients that we serve. We believe in open and transparent relationships both internally and externally. We aim to be accessible to our partners, customers and patients and strive to deliver the best possible service. We empower our people to use good judgement to make the right choices, enabling individuals to grow within the organisation. We work together, combining the intellectual power of our global, multicultural workforce to find ways to improve the lives of patients. We don’t sit back. We constantly strive to create new opportunities that deliver value. Whether that’s proactively finding opportunities to address complex technical challenges that threaten the supply of our medicines, or innovating to bring new products to market that better meet the needs of patients. The success of any company is driven by its people. We are no different. Our teams are made up of people who come from all walks of life and backgrounds in an environment where diversity is celebrated but where we are all united by the same passion, to help patients live healthier, better lives. ADVANZ PHARMA is a progressive and dynamic company, that relies upon the skills of our high calibre teams. We seek to develop and attract the very best talent from across our industry and beyond. ADVANZ PHARMA provides a unique culture and a collaborative and flexible working environment that aims to help our people operate at the very best of their ability. For more information, visit our People and Culture section. At ADVANZ PHARMA we supply over 200 niche generic and established branded medicines in a number of key therapeutic areas – some of which are the fastest growing worldwide. These include Endocrinology, Ophthalmology, Urology, Anti- Infectives, Pain Management, Central Nervous System disorders and Intensive Care medicines. We have successfully expanded our portfolio through targeted development, product in-licensing and acquisition. We continue to work closely with our partners to add value through innovation to strength, formulation and presentation. On many of our core products, we have worked hard to achieve a dual sourcing strategy, ensuring our medicines can be delivered with confidence into local markets. Graeme has more than 20 years of healthcare and life sciences experience including senior commercial, strategy and general management roles at GlaxoSmithKline, IVAX Pharmaceuticals, and Healthcare at Home. 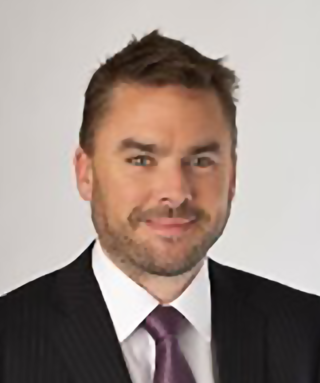 Prior to accepting the Chief Executive Officer role at ADVANZ PHARMA, Graeme previously served as President of ADVANZ PHARMAs International segment since January 2016. Prior to his role as President, he was Managing Director for ADVANZ PHARMA's International segment. Adeel brings over 20 years of experience in the pharmaceutical, distribution, telecommunications and accounting industries. Prior to becoming the Chief Financial Officer of ADVANZ PHARMA, Adeel was CFO of the Company’s International segment, and before that, Vice President, Finance and Controller of the Company. Prior to joining the company in 2013, Adeel was the Chief Financial Officer of the Indian operations of Ingram Micro Mobility (formerly BrightPoint), based in New Delhi, India, from February 2012 to May 2013. Prior to his role at BrightPoint, Mr. Ahmad held several finance roles of increasing responsibility with Nortel Networks from 2003 to 2012, based in Brampton, Ontario, Canada; Seoul, South Korea; and Beijing, China. Adeel started his career in an audit function with Deloitte LLP in Toronto. He holds a B. Comm from the University of Toronto and an MBA from the Ivey School of Business, University of Western Ontario. Karl has more than 30 years of experience in manufacturing, packaging, supply chain and distribution, and 20 years in senior management and leadership positions including his role as Operations Director for Teva. As Chief Operations Officer for ADVANZ PHARMA, Karl leads all operations functions globally, including scientific affairs (medical, regulatory and quality), supply (supply chain and supplier alliance management), new product introductions and technical operations. Guy brings to ADVANZ PHARMA more than 25 years of experience in the pharmaceutical industry, including previous senior roles at Glenmark Pharmaceuticals and IVAX Pharmaceuticals. Most recently, he served as Chief Strategy Officer at AMCo Pharmaceuticals from 2013 to 2015. As Chief Corporate Development Officer for ADVANZ PHARMA, Guy focuses on leading the company’s corporate development initiatives including M&A, strategy formulation & implementation and expanding its pipeline of medicines. 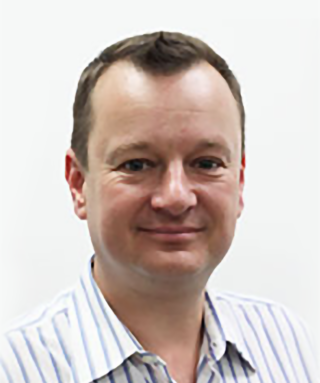 Simon started his pharmaceutical career as a Medical Representative with Pfizer Ltd in the UK. In 2000 he joined Goldshield and held various International Regional Management positions in the Middle East, Asia and Europe. He then joined the International division of Stiefel Laboratories with particular focus on the Middle East and Africa. 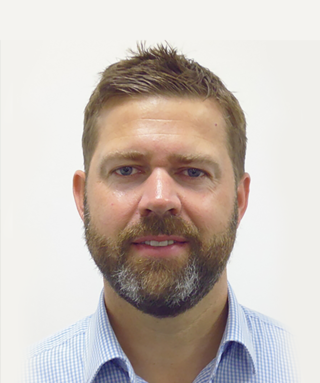 Simon joined Amdipharm in 2006 and was instrumental in establishing its Latin American business. In 2011, he became the Director of Alliance Management and in 2013 he was appointed International Commercial Director. As President, International & North America Simon leads our commercial operations in these regions. 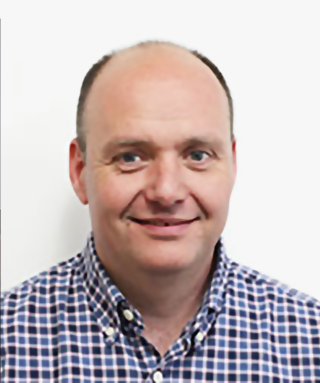 Paul joined ADVANZ PHARMA from Teva in September 2016 in the role of Vice President UK&I Commercial. 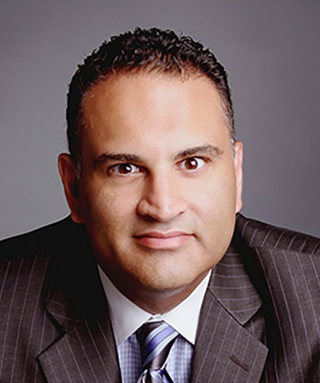 His diverse commercial career spans 20 years and also includes marketing and commercial strategy roles at Smiths Medical Systems, IVAX Pharmaceuticals, Merck Generics (Mylan) and Arrow Generics (Watson Pharmaceuticals). 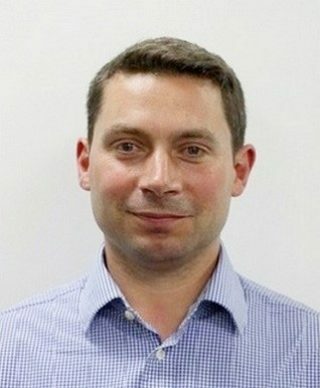 In 2009 Paul moved into consultancy working as a Director at Fleishman-Hillard (an Omnicom communications consultancy), where he managed international communications programmes for Bristol Myers Squibb and Philips. In 2013, he joined Teva, where he had board level responsibility for the largest generics business in the UK. As President, UK & Ireland and Global Corporate Communications, Paul leads our commercial operations in the region, in addition to leading our Corporate Communications function. Rob is an experienced General Counsel and corporate lawyer. He worked in London for 11 years for an international law firm before joining AMCo in 2011. As General Counsel during 2011-2016 he ran the legal, company secretarial and corporate communications teams. He was at the forefront of all M&A and he led all post-acquisition integration projects, including the merger of Amdipharm and Mercury Pharma during 2012-13 to create AMCo, and the integrations of Abcur (Sweden), Focus Pharma (UK), Primegen (UK) and BnM (Australia) into AMCo in 2013-2015. He led the integration of the International and North American divisions of Advanz Pharma in 2015-2016 and managed the Group’s regulatory disputes. He was appointed as Global General Counsel in 2018. Randy has more than 18 years of experience managing corporate restructurings and turnarounds, most recently as Principal at RC Benson Consulting, Inc. From 2012 to 2016, Randy was Partner and National Co-leader, Restructuring and Turnaround at KPMG Canada. Prior to that, he held various executive positions in the areas of general management, finance, distribution and logistics. Randy has also served as Chair of the Ad-Hoc Finance and Investment Committee for the Canadian Stem Cell Foundation. 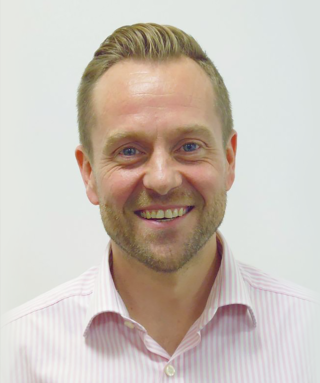 Graeme has more than 20 years of healthcare and life sciences experience including senior commercial, strategy and general management roles at GlaxoSmithKline, IVAX Pharmaceuticals, and Healthcare at Home. Prior to accepting the interim Chief Executive Officer role at ADVANZ PHARMA, Graeme previously served as President of ADVANZ PHARMA’s International segment since January 2016. Prior to his role as President, he was Managing Director for ADVANZ PHARMA’s International segment. Barry has approximately 20 years of experience as a business leader, including his recent role as CEO of specialty pharmaceutical company Merus Labs International Inc. (TSX: MSL, NASDAQ: MSLI). In July 2017, European specialty pharmaceutical company Norgine B.V. acquired Merus Labs. His leadership history also includes serving as CEO of Teva Canada for six years and prior to that he served as Taro Canada’s CEO. He is also a past Chair of the Canadian Generic Manufacturers Association. Barry began his pharmaceutical career at Eli Lilly and spent 17 years at the company in increasingly senior roles. He is currently the CEO of VIVO Cannabis Inc. (TSX-V: VIVO), a licensed producer and distributor of premium pharmaceutical-grade plant-based medicines. Florian is a Principal at GSO Capital Partners based in London, England. He is involved in both debt and equity investments across a wide variety of industries with a specific focus on special situations. Before joining GSO Capital Partners, Florian worked in Blackstone’s Restructuring & Reorganization Group where he advised debtors and creditors on in-court and out-of-court restructurings. Prior to Blackstone, he worked at Lehman Brothers and Nomura International in London where he was involved in numerous transactions across the industrial and technology sectors, including mergers and acquisitions, initial public offerings and leveraged buyouts. Robert co-founded Policano and Manzo, LLC, a consulting firm specialising in providing financial services to distressed companies and their lenders. In 2000, he sold his firm to FTI Consulting, Inc., a global business advisory firm where he held the position of senior managing director through 2005. Since 2006, Robert has been a private investor and serves on a number of public and private company boards. Frances Cloud has more than 20 years of experience in the pharmaceutical sector, including her time working as an analyst and investment banker for a number of banks, including Nomura International, IMI Securities and Swiss Bank Corporation (now part of UBS). She established Pharmacloud Research in 2009 to focus on covering the generic medicine industry in Europe, India and the MENA region. Pharmacloud provides specialist advice and consultancy to the pharmaceutical industry and financial investors, including commercial due diligence on off-patent products. Maurice Chagnaud has more than 25 years of experience in the pharmaceutical sector including senior and leadership roles at Merck KgAa, Merck Generics, Teva, Lupin and Polpharma. Geographically, he has extensive experience working in France, Italy, Germany, Central and Eastern Europe, Russia and the Commonwealth of Independent States, where he managed the commercial activities of generic, OTC and speciality product portfolios. You are now leaving the www.advanzpharma.com website. This link will take you to a website housing information on our products and organizations affiliated with ADVANZ PHARMA.